ALU LIKE’s Native Hawaiian Library (NHL) was established in 1985. 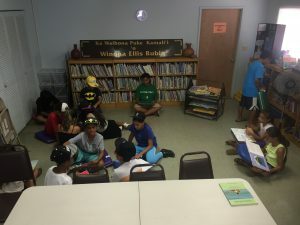 Its purpose is to provide library and information services to Native Hawaiians and others interested in the history, culture, and contributions of Native Hawaiians. 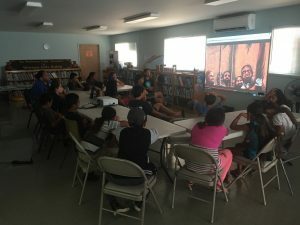 In addition to library and literacy services, the library leads the effort to preserve Hawaiian language documents through our Hawaiian Language Legacy Program (HLLP). The library offers library resources for adults and children. Our collections include basic references and reading material, a Native Hawaiian research collection, and a unique collection of quilt patterns. We have added two unique digital collections, Ulukau—the Hawaiian Electronic Library and the Hawai‘i Digital Library. Our Resources page provides links to a scholarly Hawaiian journal, Ka Ho‘oilina, Hawaiian dictionaries, and the Hawaiian Bible. 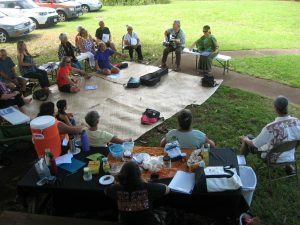 The Hawaiian Language Legacy Program (Papahana Ho’oilina ‘Ōlelo Hawai‘i) was created to preserve, publish and disseminate 19th and 20th century Hawaiian language materials for the teaching and revitalization of the Hawaiian language and culture. Our Legacy Materials are in two digital collections, Ulukau—the Hawaiian Electronic Library, and the Hawai‘i Digital Library (HDL). Ulukau contains many materials that were written in Hawaiian. Translations are included when available. The Hawai‘i Digital Library contains materials about Hawai‘i written in English. For more information about this and other library programs, please call (808) 535-6700.